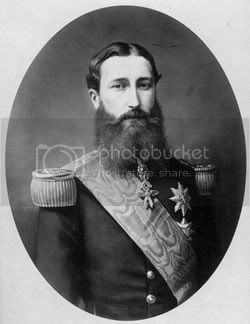 Leopold II (Léopold Louis Philippe Marie Victor (French) or Leopold Lodewijk Filips Maria Victor (Dutch) (April 9, 1835 – December 17, 1909) was King of the Belgians. Born the second (but eldest surviving) son of Leopold I of Belgium, he succeeded his father to the Belgian throne in 1865 and remained king until his death. He was the brother of Empress Carlota of Mexico and cousin to Queen Victoria of the United Kingdom. Outside Belgium, he is chiefly remembered as the founder and sole owner of the Congo Free State, a private project undertaken by the King to extract rubber and ivory in the Congo region of central Africa, which relied on forced labour and resulted in the deaths of approximately 3 million Congolese. The regime of the Congo Free State became one of the more infamous international scandals of the turn of the century. Report of the British Consul Roger Casement led to the arrest and punishment of white officials who had been responsible for cold-blooded killings during a rubber-collecting expedition in 1903 (including one Belgian national for causing the shooting of at least 122 Congolese people). Estimates of the total death toll vary considerably. In the absence of a census (the first was made in 1924), it is even more difficult to quantify the population loss of the period. Roger Casement's famous 1904 report set it at 3 million . According to Roger Casement's report, this depopulation was caused mainly by four causes: indiscriminate "war", starvation, reduction of births and tropical diseases. By 1896 the sleeping sickness had killed up to 5,000 Africans in the village of Lukolela on the Congo River. The mortality figures were gained through the efforts of Roger Casement who found only 600 survivors of the disease in Lukolela in 1903. Of those deaths, 40% are believed to have occurred after 1900. Read (much) more in this wikipedia article. On 9 April, birth in Brussels of Leopold, Louis, Philippe, Marie, Victor, son of Leopold I and Louise-Marie. 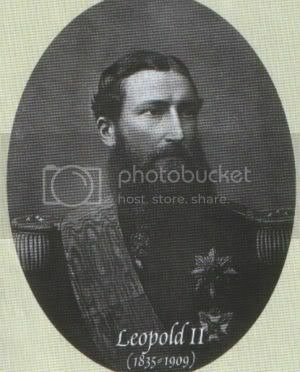 Prince Leopold entered the Senate, of which he was a member by right. On 22 August, he married Marie-Henriette of Habsburg-Lorraine, Arch-Duchess of Austria. 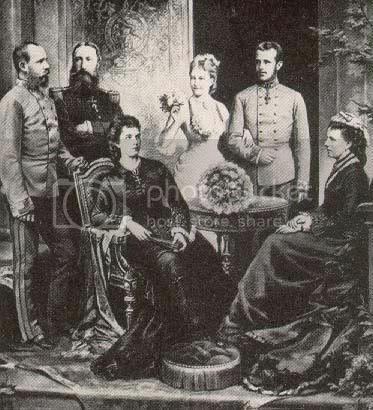 They had four children: Louise-Marie (1858-1924), Leopold (1859-1869), Stephanie (1864-1945), Clementine (1872-1955). On 17 December, Leopold took the constitutional oath. On 12 December, the King Palace convened an international conference in Brussels of scientists, geographers and explorers, focusing on the discovery of the centre of Africa. This resulted in the setting up (1877) of an "association for the civilisation and exploration of Central Africa". 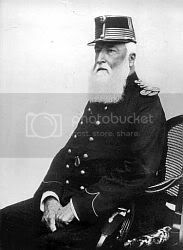 Leopold II set up, with the cooperation of the British explorer Stanley, the Study Committee on the Upper Congo, converted in 1879 into the International Association of the Congo. The Berlin Conference recognised the independent state of the Congo, of which Leopold II became the Sovereign. 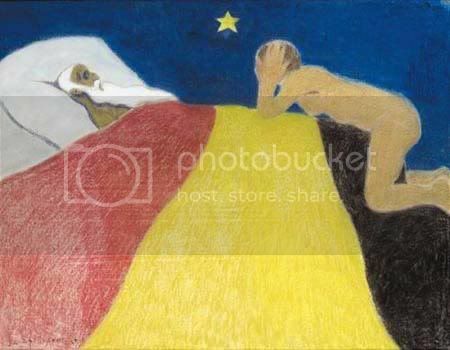 That same year, the Belgian Parliament approved the "personal union" of Congo and Belgium. 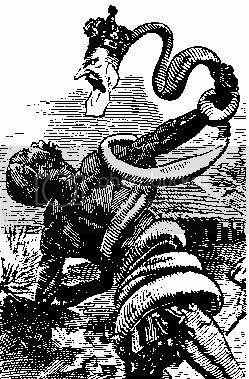 In July, the Brussels International Conference condemned slavery and triggered the start of the anti-slavery campaign in Africa, at the instigation of the King. On 19 September, Queen Marie-Henriette died in Spa. Following the excesses committed by the Europeans in Africa, Leopold's reputation and his overseas venture were questioned. 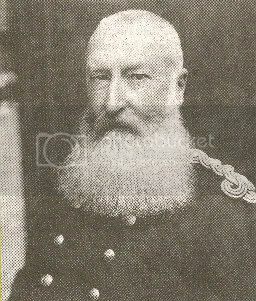 The King set up an International Commission of Inquiry, which recognised the merits of the royal action in Congo, while pointing out abuses and shortcomings, which Leopold II endeavoured to put right. The law of 18 October made the independent State of the Congo a Belgian colony. On 14 December, the King signed the law on compulsory military service. He died three days later. Of the Europeans who scrambled for control of Africa at the end of the 19th century, Belgium's King Leopold II left arguably the largest and most horrid legacy of all. While the Great Powers competed for territory elsewhere, the king of one of Europe's smallest countries carved his own private colony out of 100km2 of Central African rainforest. He claimed he was doing it to protect the "natives" from Arab slavers, and to open the heart of Africa to Christian missionaries, and Western capitalists. Instead, as the makers of BBC Four documentary White King, Red Rubber, Black Death powerfully argue, the king unleashed new horrors on the African continent. 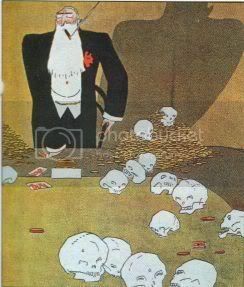 He turned his "Congo Free State" into a massive labour camp, made a fortune for himself from the harvest of its wild rubber, and contributed in a large way to the death of perhaps 10 million innocent people. Read more in this BBC article. 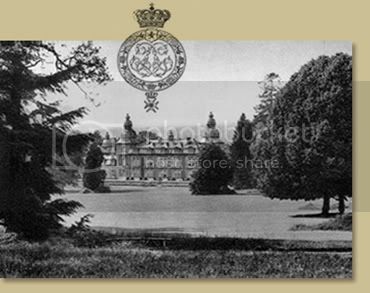 Leopold used much of his ill gotten money to build several huge estates in the South of France at Cap Ferrat. One of the largest, La Leopolda, is I believe, now owned by Bill Gates (It's the one with the lovely long staircase featured in the film The Red Shoes.) Apparently Leopold also built a number of large villas on Cap Ferrat to house his mistresses. He was prevented from obtaining further land by Beatrice Rothschild who went on to construct the Villa Ephrussi Rothschild. Leopold used to swim each day with his white beard tucked in a rubber envelope. 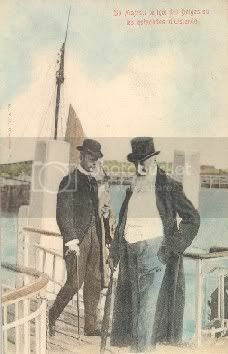 According to Patrick Howarth in his excellent book "When the Rviera Was Ours", Princess Daisy of Pless gave a vivid picture of Leopold on the Riviera peeling grapes with his long finger nails, "a look of cruelty on his face as if he were skinning alive the President & all the members of the Aborigines Protection Society". She added that she had not seen his toe nails, though she understood plenty of other women had done so. 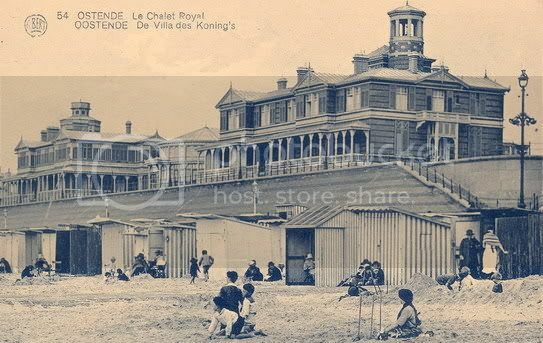 For the people who maybe don't know it; don't go to Oostend looking for the wooden chalet, it isn't there anymore. I was wondering, is Leopolds Congo money now in the royal foundation or did he leave everything to the Baroness de Vaughan and their two sons? Well, I actually did look for it and I was under the impression he had som e enormous palace built over there! But apparently there were only plans for that and he never actually built it. He did however leave a big mark on Brussels, transforming it from a medieval city to what it is now, big avenue´s, arc the triumphs etc. Anyway, this still reminds you of Leopold in Oostende. But not much else because this is what you get there these days, the most ugly coastal village/city in Belgium that I saw (Le Coq sur Mer is the prettiest one). 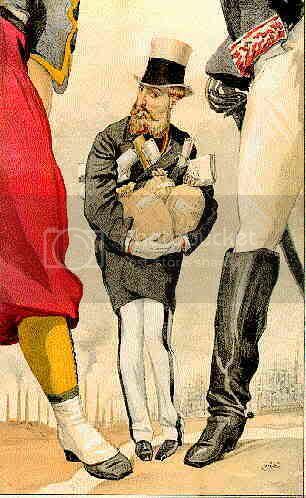 As is reported by the newspaper ‘Nederlands Dagblad’, King Leopold II of the Belgians (1835-1909) had plans to invade The Netherlands. These plans were found in the royal archives in Brussels by the Flemish journalist and historian Kris Clerckx. The king sent an espionage missions to get information about the strength of the Dutch army, made plans for the invasion and sent a high diplomat to France to get the support of emperor Napoleon III for the invasion. The plan was that the Belgian army would invade The Netherlands in surprise and take the city of Amsterdam after just a few days. This way the information of an invasion would alomost arrive at the same time as the news of the caputilation of the Dutch army. The espionage reports were confident that the Dutch would be no match for the Belgian army. The Belgian army had 2127 officers, while the Dutch only had 1397 of them, many of them old men. The budget of the Belgian army was 34 million gold franks while the Dutch army only got 29, million a year, more than 10 million of that went to the Dutch navy, which would be completely useless when the Belgians invaded by land. Colonel Chauchet, the highest militairy espionage officer, however noted that the fortresses of the Dutch ‘water line’ , a defensive line, were well maintained. And the Dutch population loved their country, and would not be invaded without a fight. 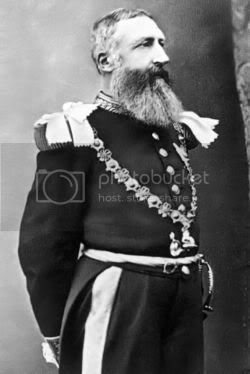 King Leopold II however thought he could count on the support of the Dutch catholics, if he would invade The Netherlands. In the end Leopold II gave up his plans after the prince de Chimay, his highest diplomat in France, was sent to talk to the emperor. Napoleon III wasn’t very enthausiastic about the plans, possibly because he was good friends with both king Willem III of The Netherlands, as with his consort Queen Sophie. The plans were postponed and were forgotten, until Kris Clerckx found them in the archives. I just discovered Leopold II on wikipedia (and taking the information gleamned there with a grain of salt) I have to say that Leopold doesn't appear to be a nice man. He (and others) did horrible things to the people of Africa, cheated on his wife (which was the norm back then so I will give him a bye) and had terrible relationships with children. 1) what was the point in invading the Netherlands? To make Belgium bigger or to support France? 2) How is Leopold II viewed today in Belgium? 2) No celebration of the 100 years of his dead (1909) but a celebration for the 100 years of the starting of Albert I. 's reign..( exhibition about Albert I in november). That in itself is very telling. No celebration. 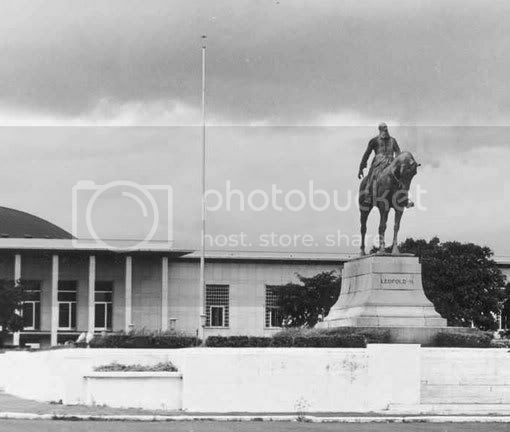 Leopold II was the one who organised a conference between all the major political powers in Europe to discuss the future of Africa and how it should be divided, only to end up grabbing a very large piece of the cake for his own personal use. He wanted Belgium to be(come) an important political power, a country people would respect, and since we're rather small, compared to neighbours like France and Germany, he probably thought extending the territory was a good idea. Let's not forget, despite all his negative sides, he was also the King who commissioned the Greenhouses to be built, and he made sure Belgium used to have the most beautiful buildings as embassies. He tried to give the country some prestige, and his crazy plan to invade the Netherlands was probably just part of that.